André has over 37 years of experience, is a certified instructor in various CQB solutions and has trained over 5000 security professionals. He runs both his Traditional Chinese Acupuncture clinic and Ninjutsu dojo in Toronto, Ontario. André is a student of Dr. Masaaki Hatsumi and travels to Japan on a monthly basis. André is a Bujinkan 5th Dan and Shidoshi. His father Lonie, is also a Shidoshi, and was trained by teacher and friend's Stephen K. Hayes, Doron Navon & Dr. Glenn Morris. Thanks to his father, André was able to begin his training in Ninpo Taijutsu at the age of 3, and received his 5th Kyu rank from Ilan Gattegno in 1988, his Shodan and Nidan from Dr. Glenn Morris, his Sandan from Lonie Hilton, Yondan from Arnaud Cousergue and Godan from Soke (Grandmaster) Dr. Masaaki Hatsumi. André has been teaching Ninpo Taijutsu since 2001, and is also a certified instructor in various CQB solutions and has trained over 5000 security professionals. André is a student of Dr. Masaaki Hatsumi and travels to Japan on a monthly basis. He also worked in the area of close protection as a bodyguard, driver and has provided long duration VIP escorts for sensitive high profile individuals active in the media. He runs both Acupuncture Toronto, his Traditional Chinese Acupuncture clinic and Ninpo Toronto Ninjutsu, his Ninpo Taijutsu dojo. Cyprian is a Sandan in Bujinkan Budo Taijutsu with 25 years of experience and has a background in several other martial arts. He is currently in law enforcement, as a security professional with vast amounts of real world experience. Cyprian brings both his understanding and martial knowledge to Ninpo Toronto Ninjutsu, to enhance the students positive training practice. Ivana is a Sandan in Bujinkan Budo Taijutsu and has been training at Ninpo Toronto Ninjutsu since 2006. She lived in Japan for 3 years and now manages Ninpo Toronto Ninjutsu. 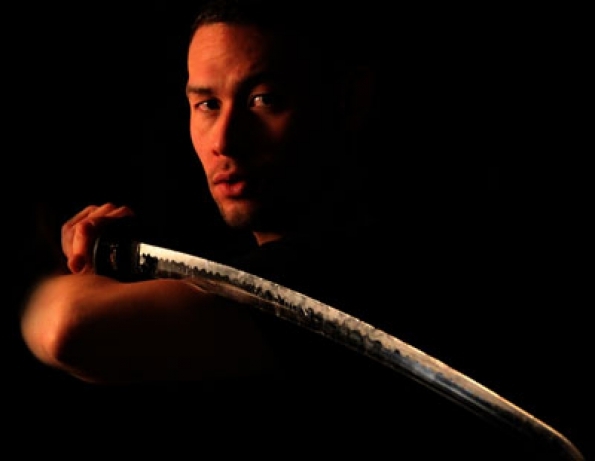 Andy is a Shodan in Bujinkan Budo Taijutsu and has been training at Ninpo Toronto Ninjutsu since 2010. He is also a 2nd Dan in Taekwondo.